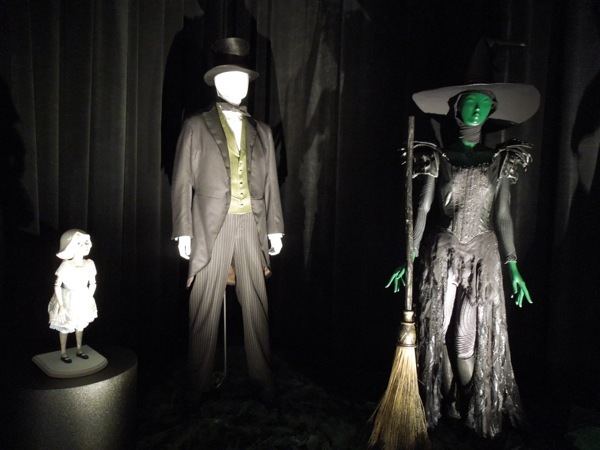 Back in March when the movie was released I was fortunate to see the three lead witches costumes and accompanying props from Oz The Great and Powerful on display at the El Capitan Theatre in Hollywood. 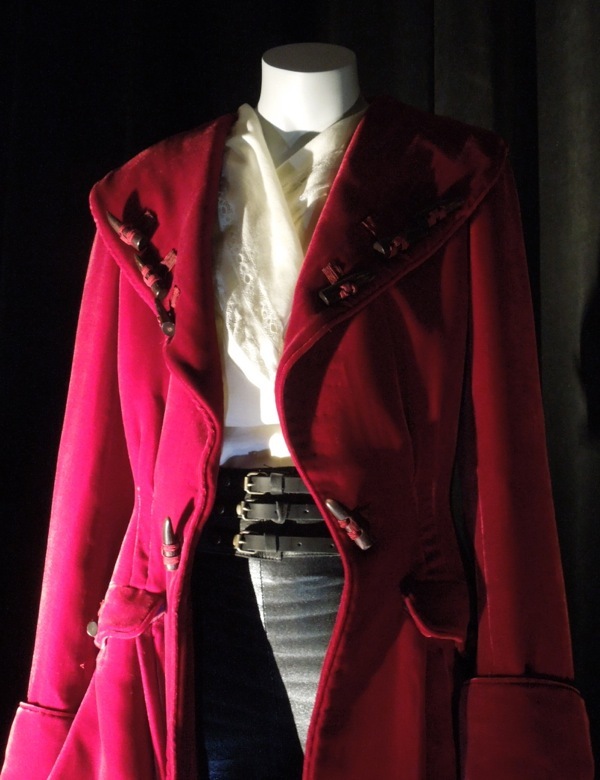 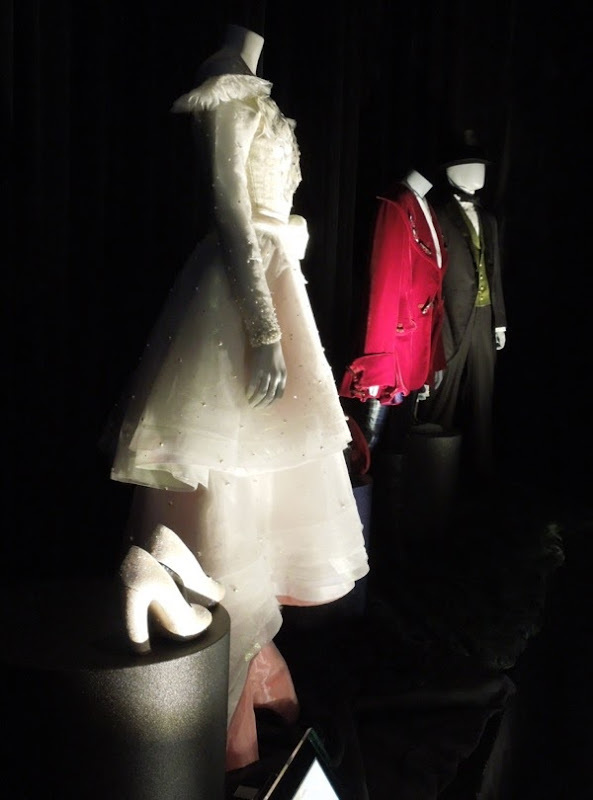 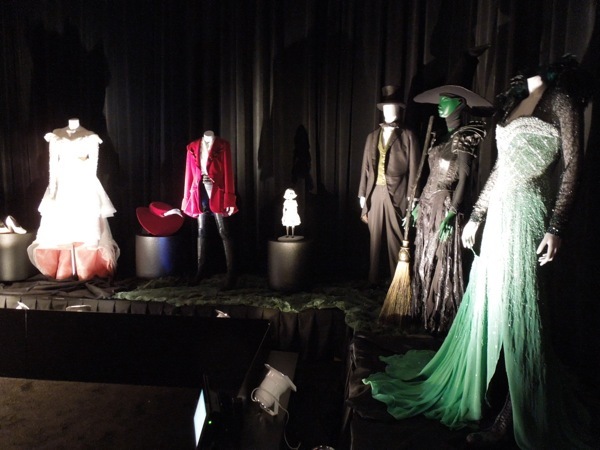 At this year's Disney D23 Fan Expo on August 9, 2013 I was able to see some of the same costumes up close and out from behind their display cases, plus even more original costumes from Disney's Wizard of Oz prequel. 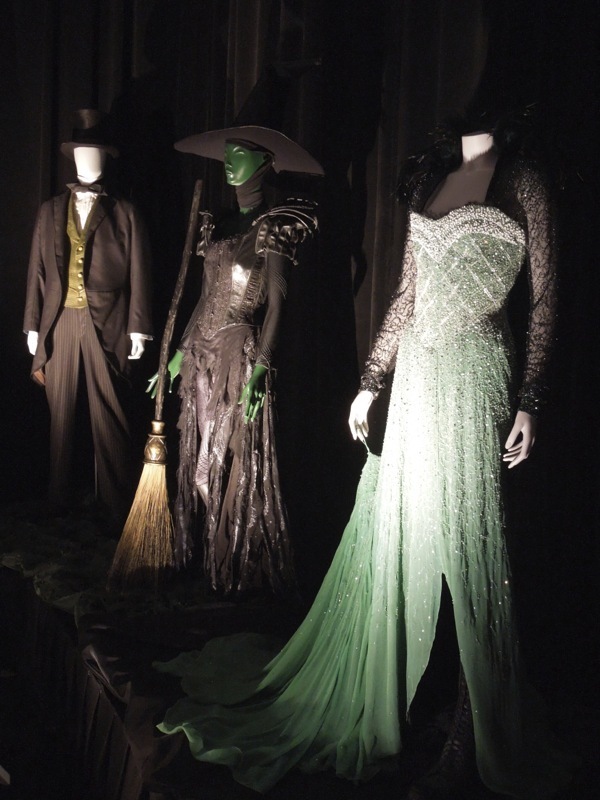 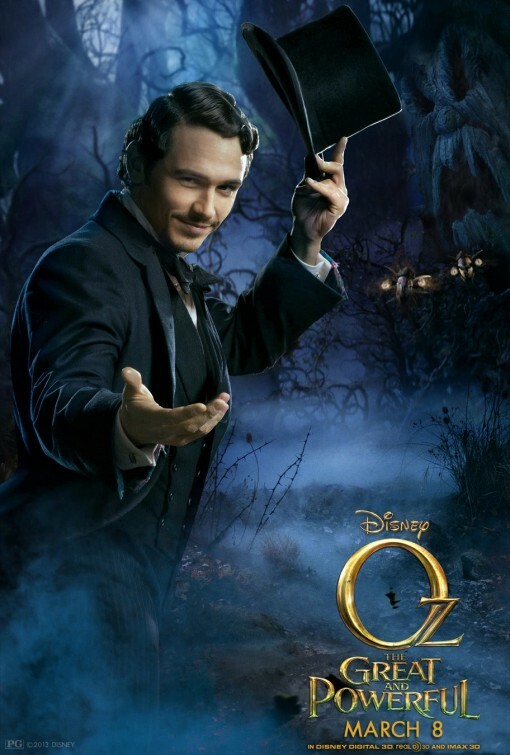 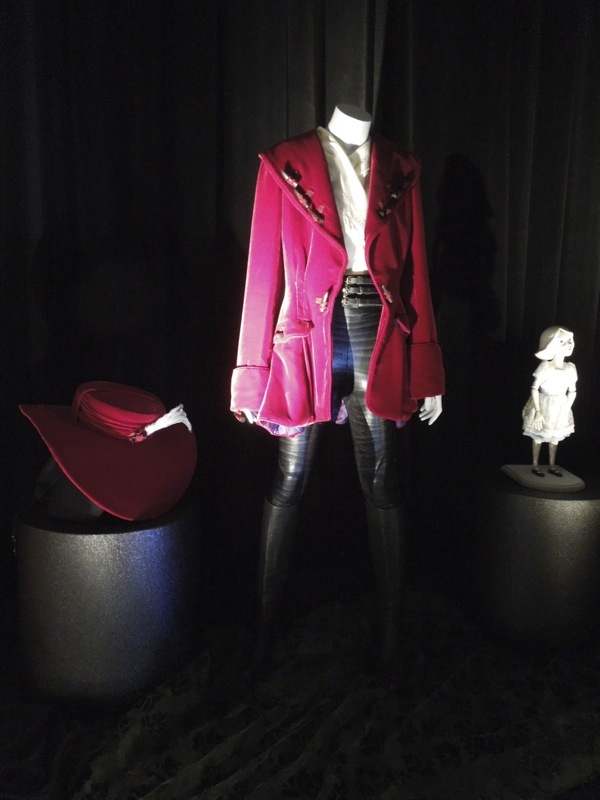 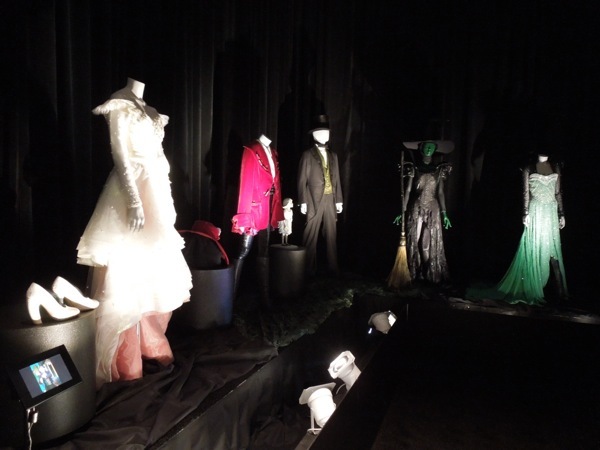 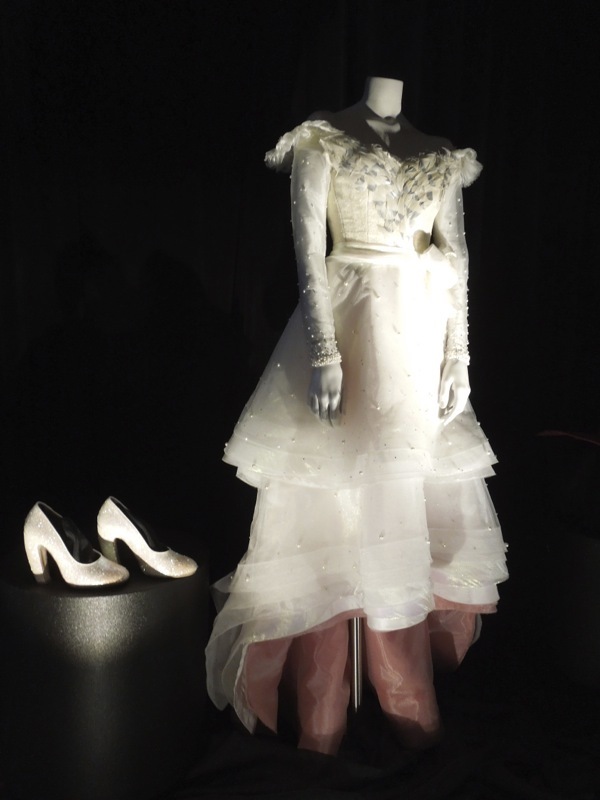 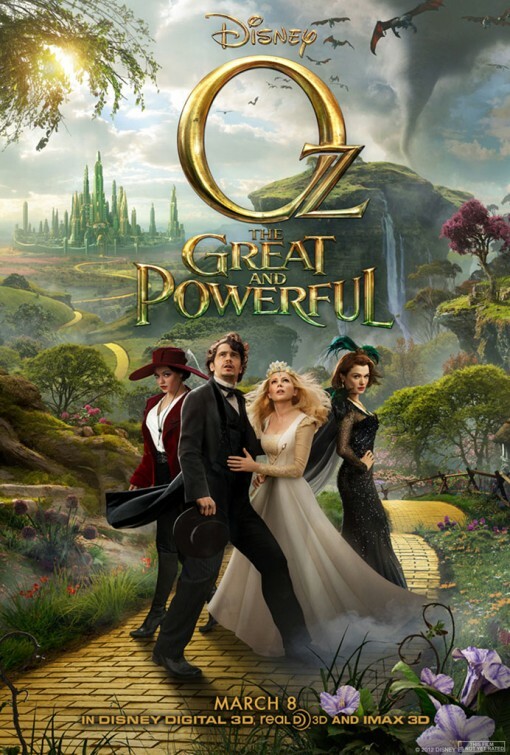 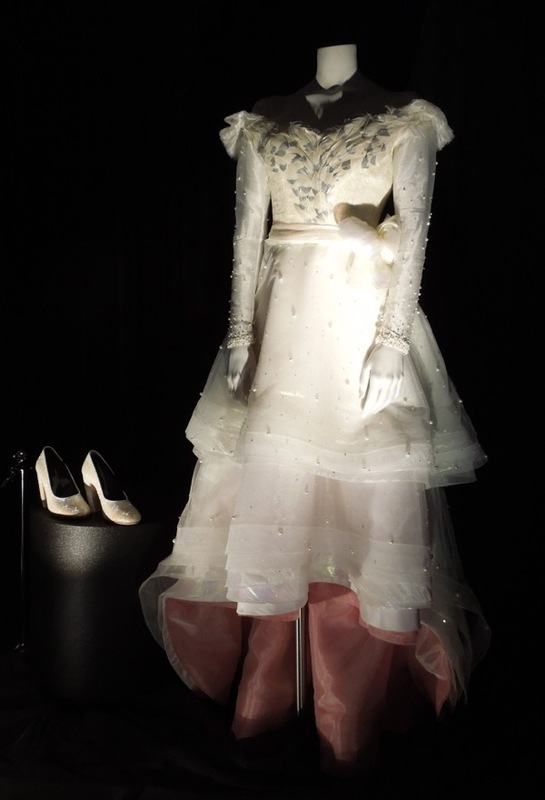 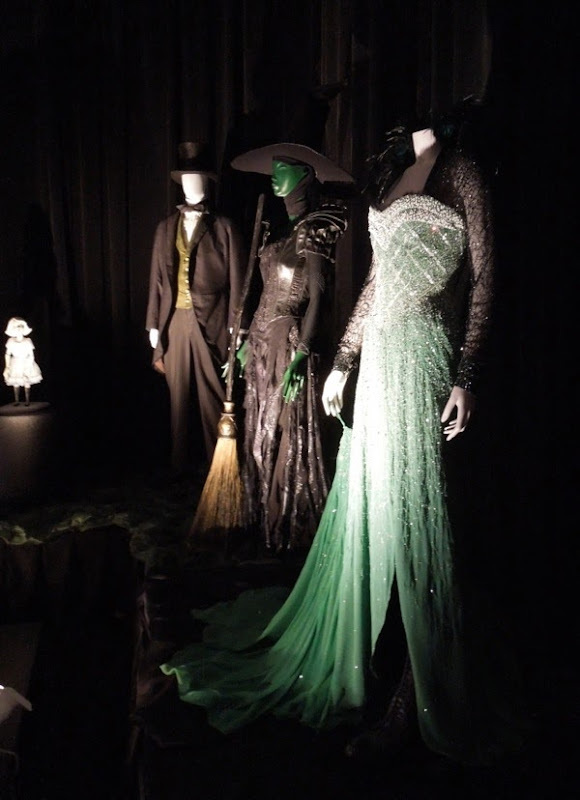 In addition to the re-imagined 'Wicked Witch of the West' costume worn by Mila Kunis there was also the outfit and hat the actress wore as 'Theodora' when she first meets James Franco's 'Oz' (whose costume was also on display), plus the show-stopping emerald gown worn by Rachel Weisz as the scheming 'Evanora' was also part of the exhibit from the movie. 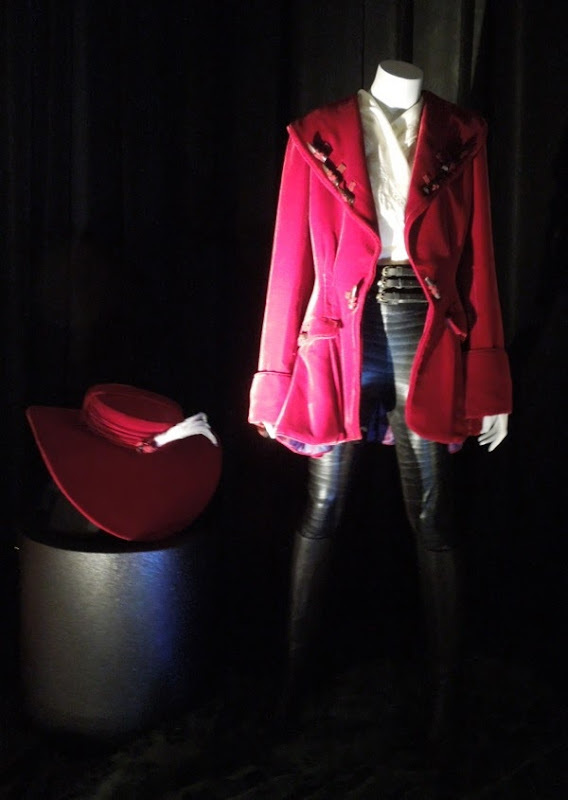 If you love these outfits, you should also check out the addition Winkie Guard, Munchkin Herald Knuck and Master Tinker costumes also on display at the Treasures of the Walt Disney Archives exhibit. 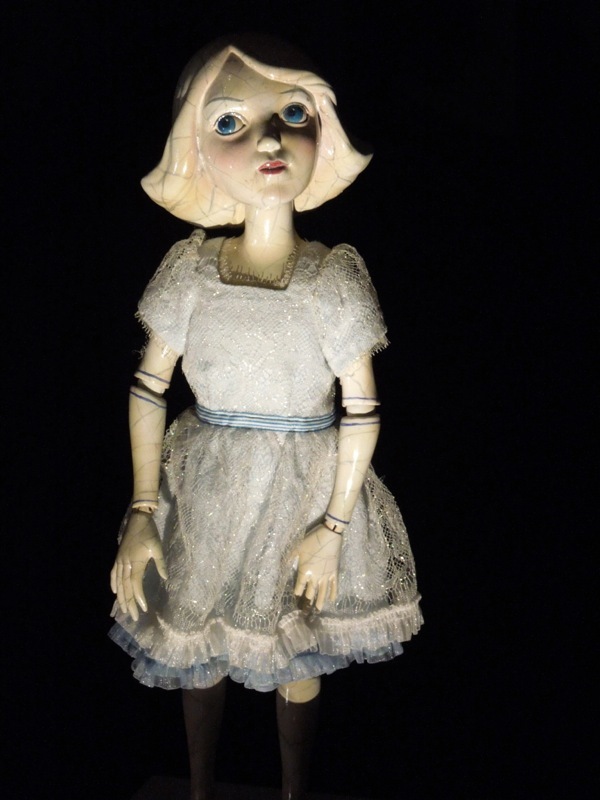 Also worth a special mention was this very expressive 'China Girl' prop which was included in the showcase, even though she was created digitally in the movie I'm sure this one was used in the production, by the actors to hold and perform against. 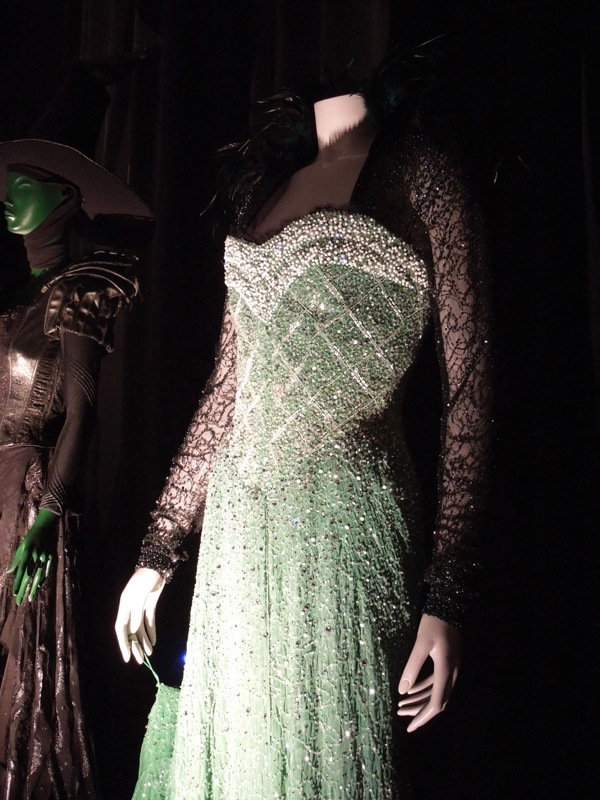 Even though she may have been a very bad witch, Rachel Weisz's 'Evanora' certainly had the best and most sparkling gowns in the movie, which were designed by Gary Jones. 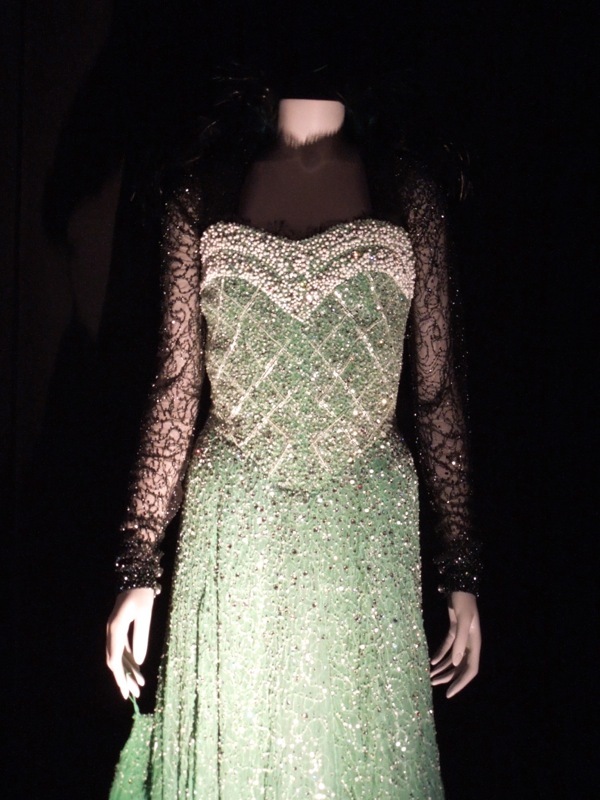 This particular vision in green was worn by the actress when she welcomes James Franco's 'Oscar Diggs' to the Emerald City in the earlier stages of the fantasy film and she looks very much the reigning empress or fairytale evil queen. 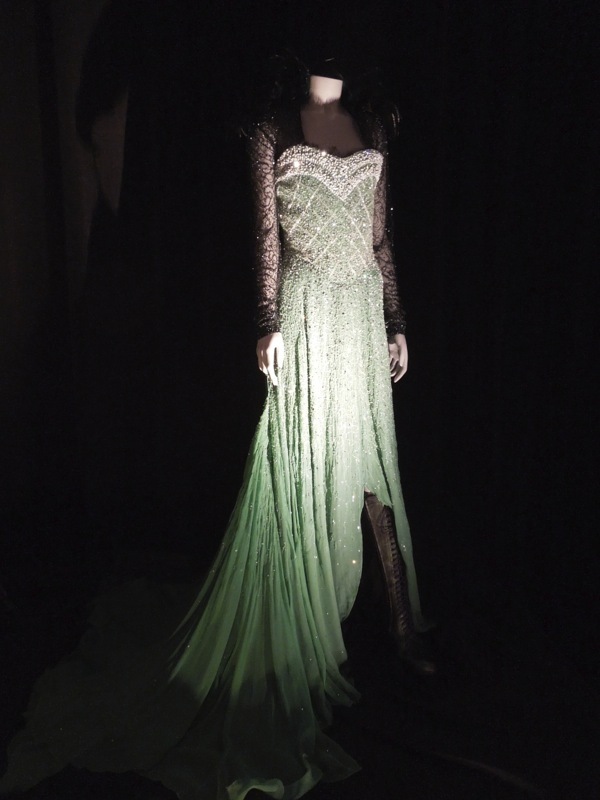 If you're a fan of this magnificently beaded art deco-inspired dress, be sure to also check out this other darker Evanora costume from Oz The Great and Powerful worn in the second half of the movie. 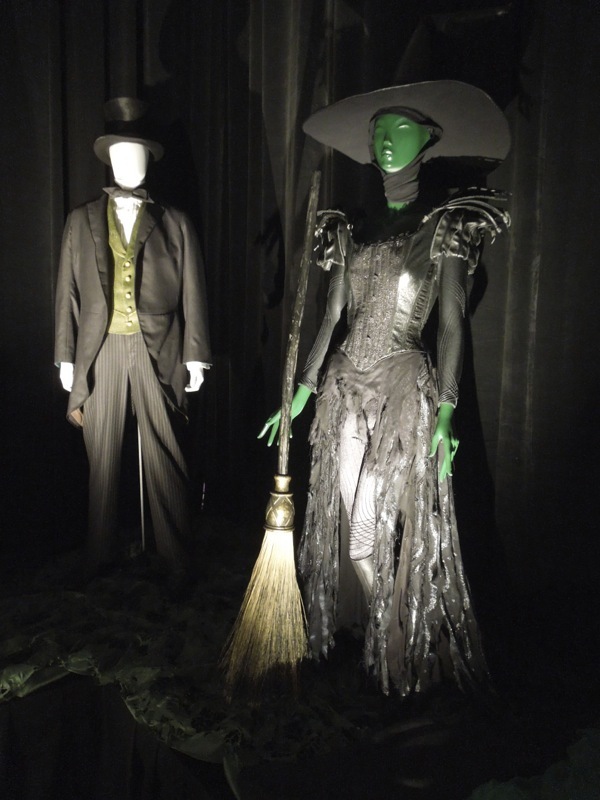 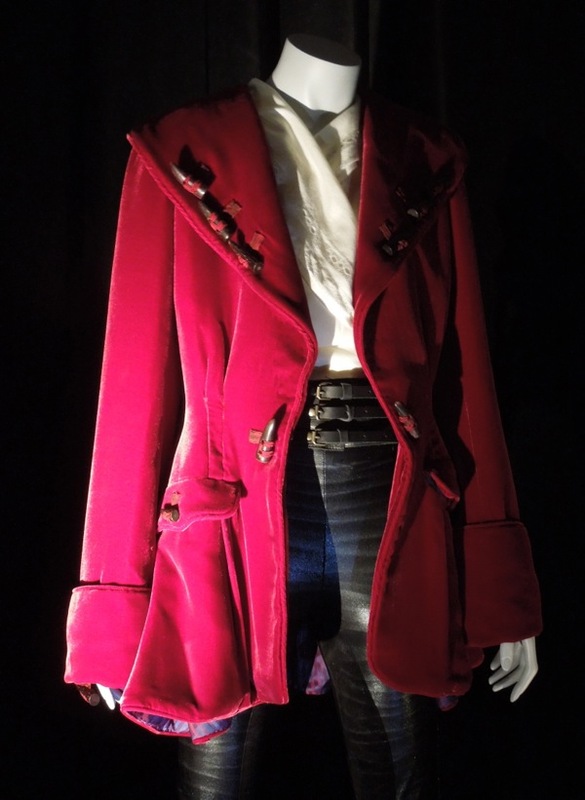 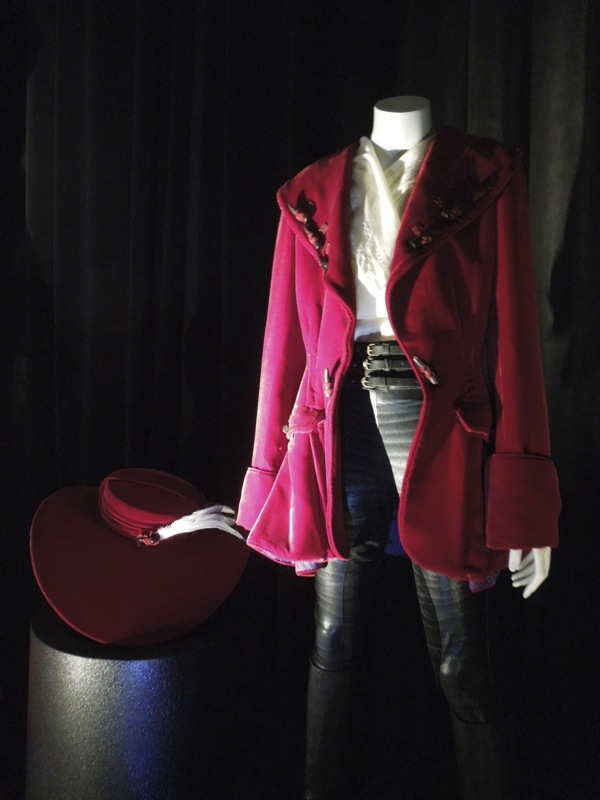 Having already seen her Wicked Witch costume on display previously, it was nice to see this different outfit worn by Mila Kunis as 'Theodora' as part of the exhibit. 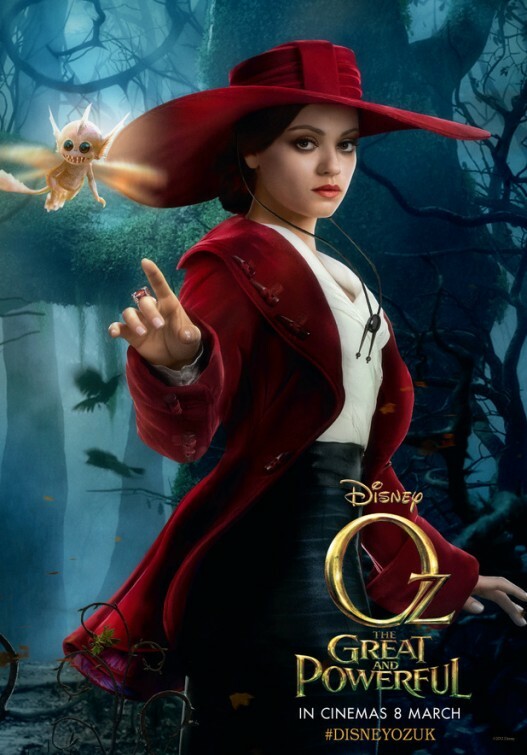 In the movie she wears this hat and high fashion costume when she finds Oz after he's crash landed in his hot air balloon. 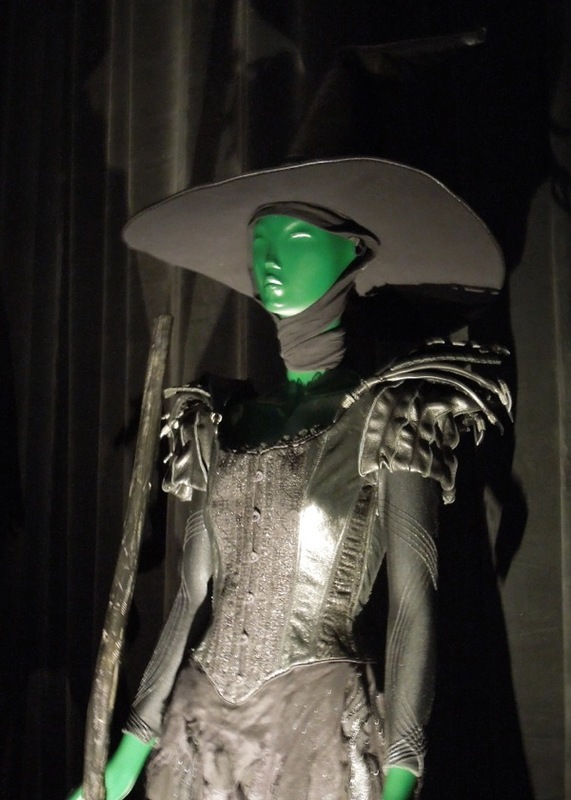 Here's also the updated version of the iconic Wicked Witch of the West costume, which you can see is much more sleeker and sexier black leather look than the original witch costume from 1939's The Wizard of Oz (although almost impossible to photograph black on black in the dim lighting used to protect the garments on display). 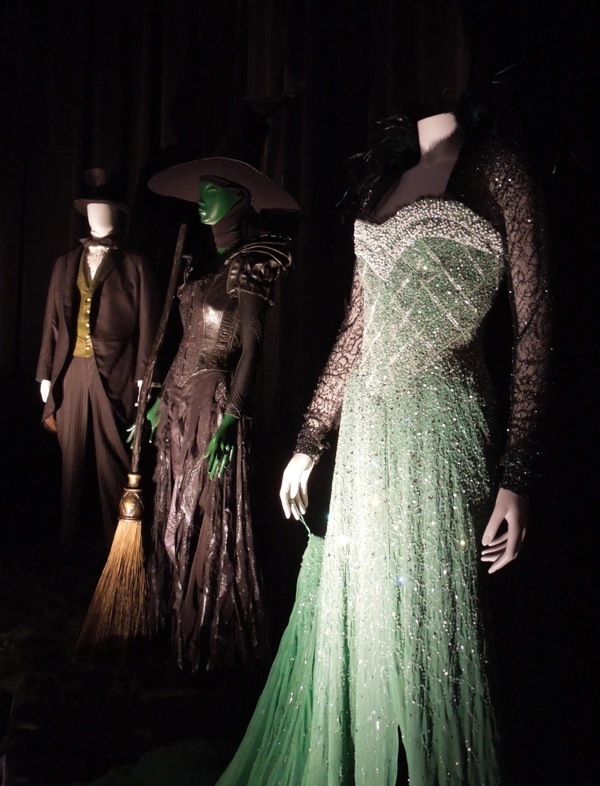 Theodora wears this darker ensemble when she's tricked by her sister Evanora and transformed into the hideous green-skinned witch we know and love. 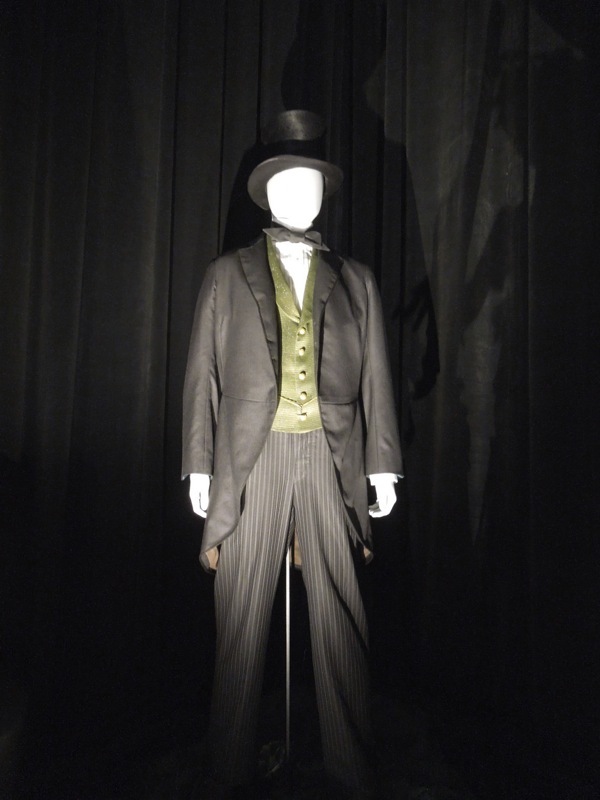 When traveling-circus magician and con man 'Oscar Diggs' is caught in a cyclone that magically transports him to the Land of Oz he doesn't have time to pack a change of clothes, so this turn of the century black cutaway suit had to work for the black and white Kansas scenes set in 1905 and for his time in the colourful world of Oz. 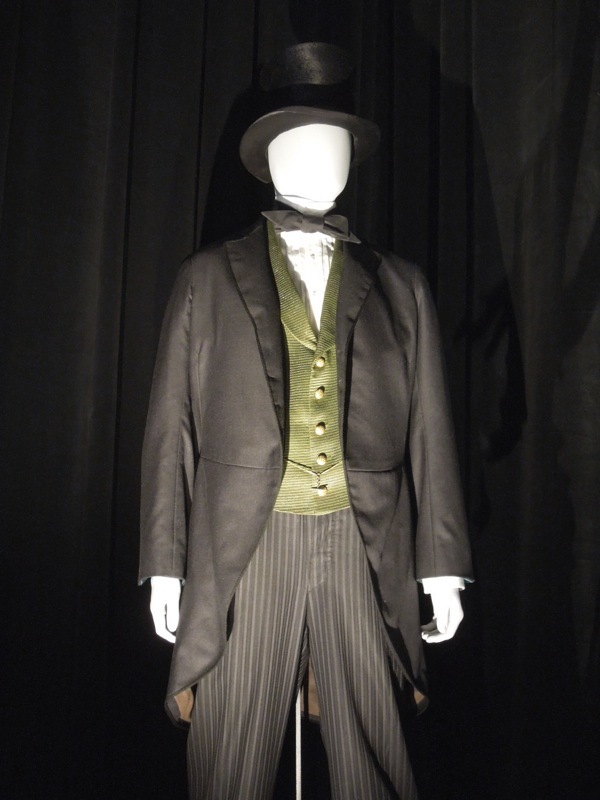 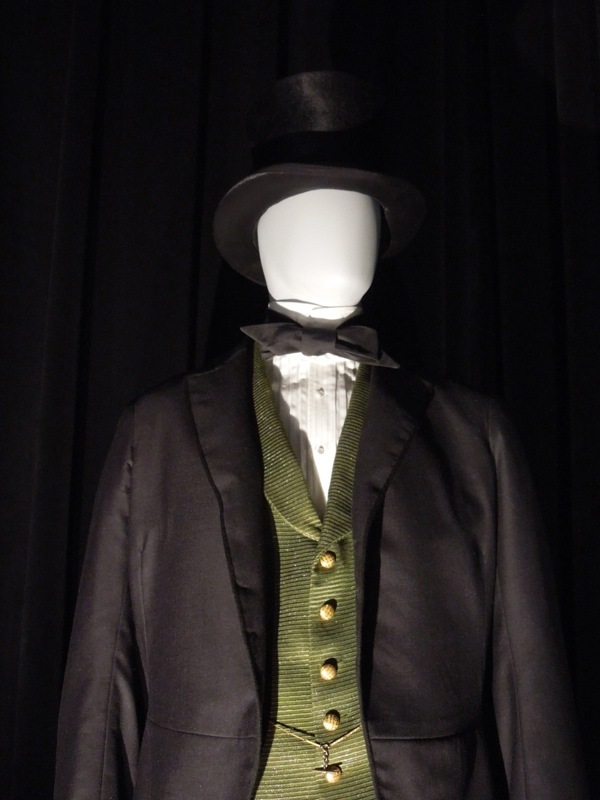 You'll notice his waistcoat is green (and his top hat also has a green trim too). 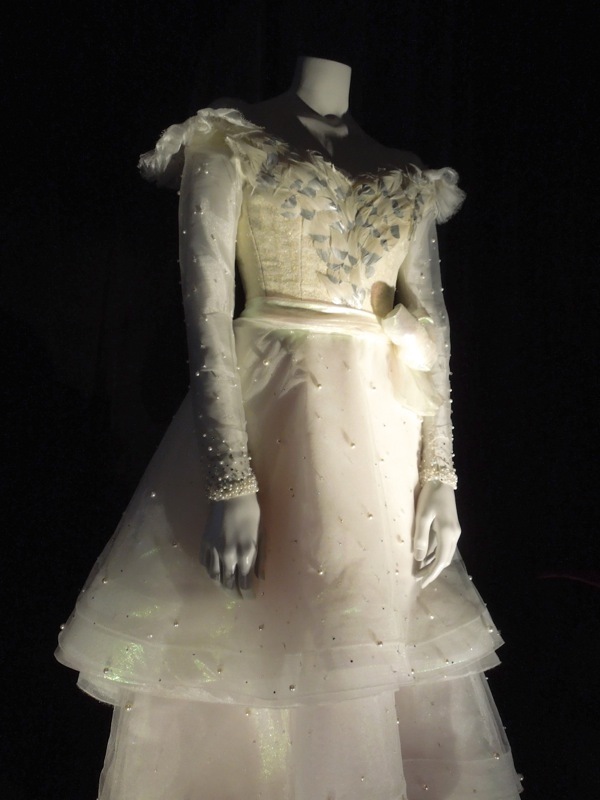 Finally this gorgeous gown worn by Michelle Williams as 'Glinda the Good Witch of the South' was also previously display at the El Capitan Theatre, but it was nice to see it out from behind its reflective display case, to see the detail of the dress up close. 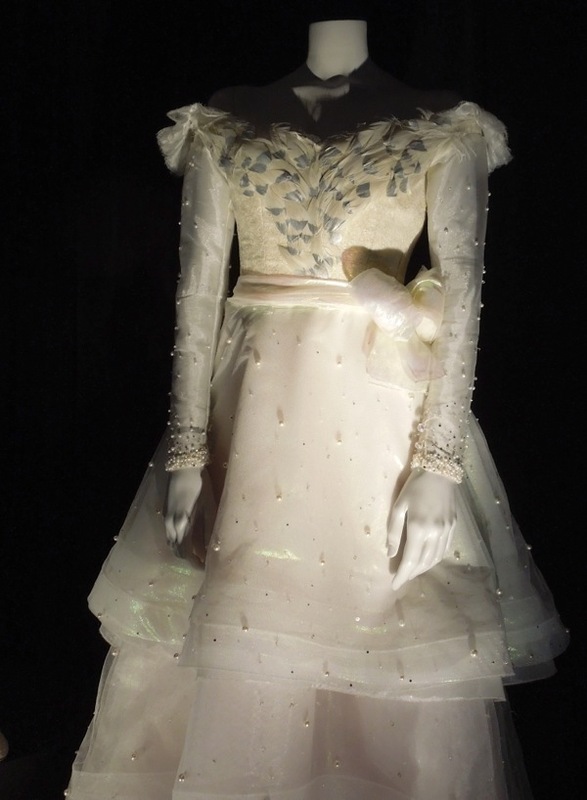 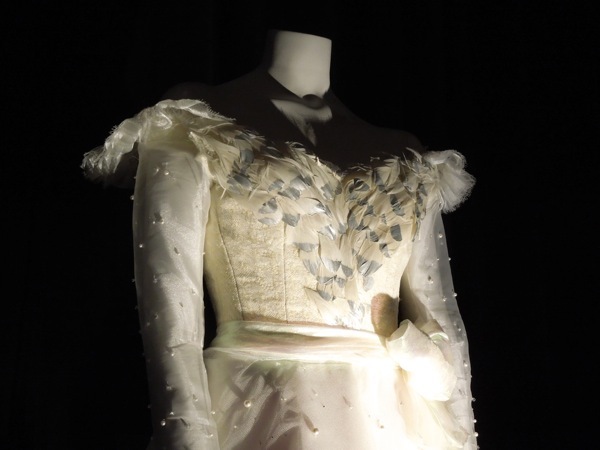 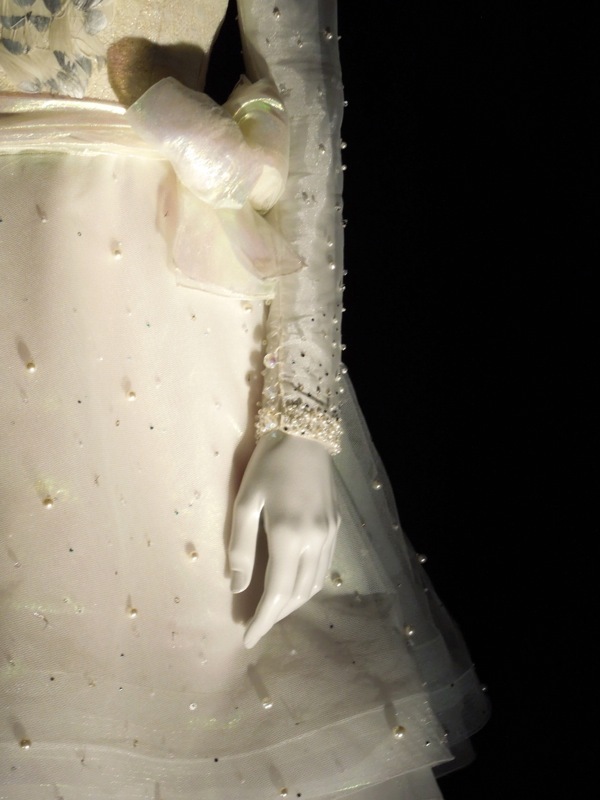 Glinda looks very much the Disney princess in this white feathered and beaded dress which is featured in the latter part of the movie. 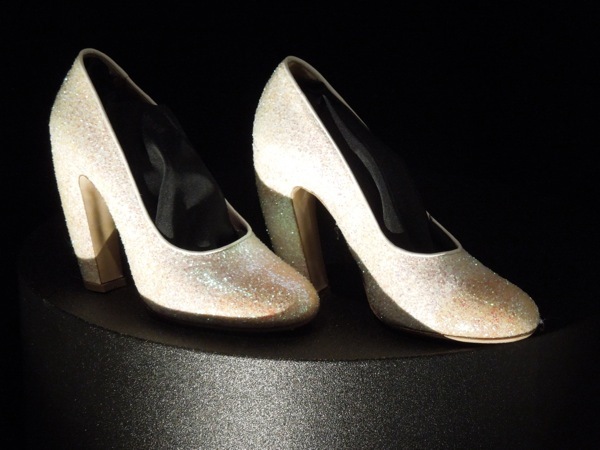 Interestingly looking at Glinda's glittering footwear, I'm reminded that in the original L. Frank Baum 'Oz' books the magical shoes that transport 'Dorothy' home to Kansas are silver and not the now iconic ruby colour. 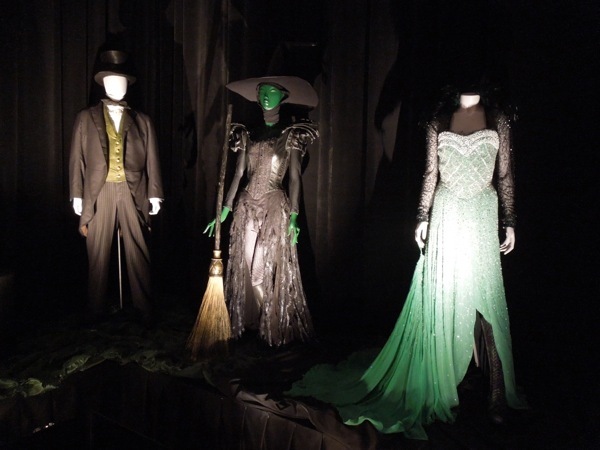 If you've enjoyed these wonderful costumes, you may also want to take a look at these original costumes and props from Disney's Return to Oz from 1985.